L and I drove up to New Plymouth to spend Christmas Day with my sister S and my folks D and P. We took L’s folks along for the trip also. It meant a really early rise to get up there by midday. S made us all feel very welcome. It was really nice to see her in her new home. I was really lucky to be given a brace of Riedel ‘O’ series Pinot Noir stemless wine tumblers by L. Lucky me! I had been coveting a set of proper PN glasses to enjoy what is becoming my favourite grape variety. They have a generous bowl shape to generate a good head of bouquet, and a narrow opening to convey the aromas up to the nose. Otherwise on Christmas Day we all drank Lindaur Special Brut NV and Special Reserve Brut NV. This bubbly is acceptable and does what it sez on the tin. We then drank a bottle of Moet & Chandon NV which exhibited a far greater degree of class and restraint – an elegant and moreish drop. L drank one of her favoured Roses’s, Kim Crawford Pansy Rose 2014 which she enjoyed, and we also tucked into one of our favourite Chardonnay’s, Stoneleigh Latitude Chardonnay Marlborough 2013. A big day on the turps. Straw colour. 13.5%. Nose of green green grass and tom stalk. Hints of honey and vanilla. Not a great pairing with my own Christmas Cake and L’s warm toffee sauce. But it survived. 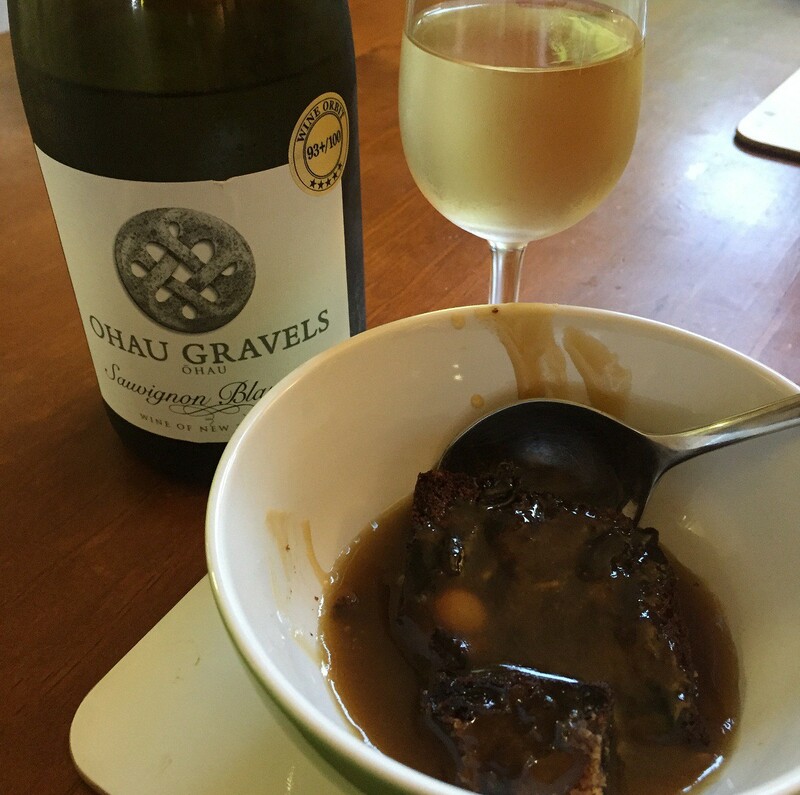 This entry was tagged $$, 13.5%, 2013, 3, Ohau Gravels, Sauvignon Blanc, Wine of New Zealand. Bookmark the permalink.